Professor Bradley is currently Professor of High-Throughput Chemical Biology in the School of Chemistry at The University of Edinburgh. After gaining a First class Honours B. Sc. Degree in Chemistry with Distinction in Biochemistry, he carried out a D. Phil under the supervision of Professor Sir J. E. Baldwin FRS – both at the University of Oxford. On gaining both a Lindemann Trust and SERC/NATO Postdoctoral Fellowships, he continued with postdoctoral work under Professor C. T. Walsh at Harvard Medical School in Boston, USA (1989-1991) before moving to the University of Southampton as a Royal Society University Research Fellow. In 1997 he was awarded a Professorship in Combinatorial Chemistry at the Department of Chemistry, University of Southampton where he founded the Combinatorial Centre of Excellence. He continued to direct this centre until moving to Edinburgh in 2005. Over the past 10 years, Mark has been invited to speak at over 250 lectures, meetings and conferences. As well as academic lectures, Mark also gives public service and educational lectures. In addition, Mark has been the main organiser and on the organising committee of several international conferences. 2009 – SCS Award of the Society of Combinatorial Sciences. Awarded for the most significant scientific and technological advancement in the field of combinatorial sciences over the past 4 years. 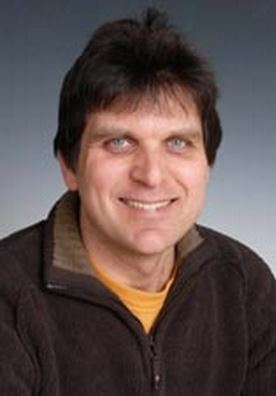 2008 – Merck Frosst Lecturer at the Chemistry Department, University of Waterloo,Ontario, Canada. The Merck Lecture is sponsored by Merck Frosst (Montreal) with lectures at the company site in addition to the Chemistry Department at the University of Waterloo.